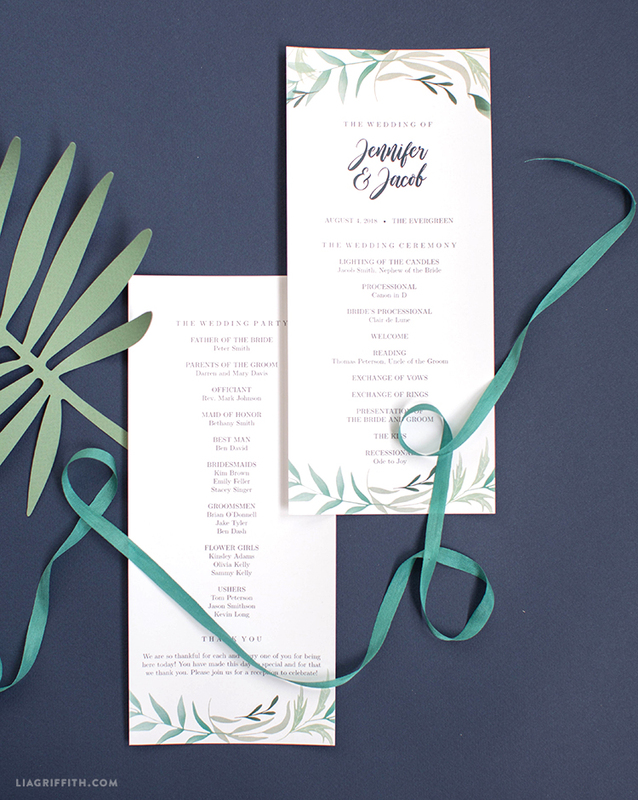 Give your guests a play-by-play of your special day with this greenery wedding program template. 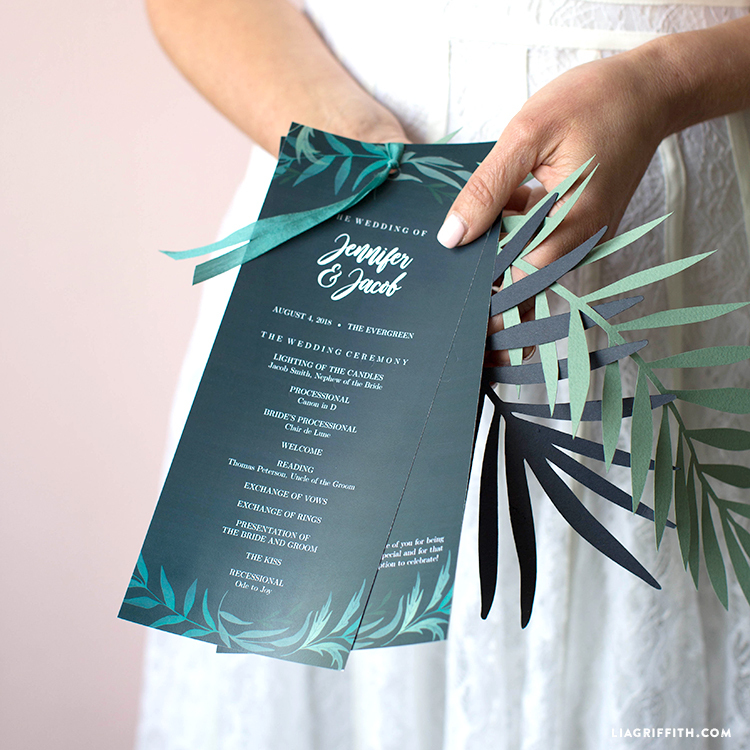 Featuring more gorgeous watercolor greenery by Laurel Autumn, these programs complement our greenery wedding invitation suite and menus. Pair all three for a perfectly coordinated event. Simply download, edit, print, and enjoy! The PDF downloads we’ve created are fully editable for you to personalize with the free fonts Latin Modern Roman and Wild Ones. The 4×9 and has an optional second page for you to print. We recommend printing onto a plain or frosted white cardstock for best results. We hole punched the top of our program and added a small silver brad or ribbon to put together our pages. I am having trouble with the Wild Ones font that is called for in the program giving an error with the link provided. so the Names do not print correctly. Is there a way to edit the font to another if it is no longer available? Thanks for your help. Thank you Lia for your help. Still having trouble, I was able to install the font on my Mac with the link you provided. But when I download and print the PDF it is still not applied on names. Is there some special tip or links on using the Adobe to view the PDF? I remember there being some special directions, but not finding again where I read this. Please send info on special steps with Adobe for PDF with your PDF downloads. Thanks. Karen, have you downloaded the PDF to your desktop? Is the correct font showing up when you view the PDF on screen? If not, then the font may not be properly installed. Can you send an email to hello@liagriffith.com with more details and a photo? What a pretty invitation! So unique and so classy! Thank you for sharing!